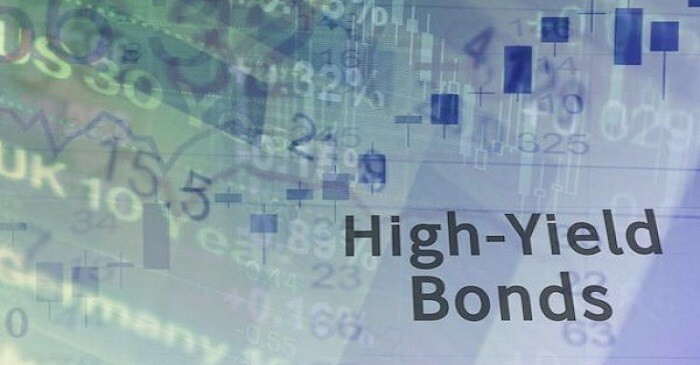 High yield bonds are those which are highly paid but have a lower credit rating than other bonds such as; corporate, treasury or municipal bonds. Due to the higher risk of default these bonds pay a higher yield than investment grade bonds. Issuers of high-yield debt are usually start-up companies or capital-intensive firms with a high debt ratio. Bonds that are above the two main credit rating levels of ‘BBB’ form S&P and below ‘Baa’ form Moody’s, are considered investment grades. Credit ratings can be as low as ‘D’ and most bonds with a ‘C’ rating or lower, carry a high risk of default, to compensate for this risk yields tend to be very high. High yield bonds are generally held by investors worldwide, although most participates use mutual funds or exchange-traded funds. The yield range among investment grades and high yields will change over time, depending on the state of the economy, along with the company and the sector-specific events. Usually investors with high-yield bonds can expect around 150 to 300 basis points greater yield compared to investment-grade bonds at any time. In recent times, central banks across the world, like Federal Reserve and European Central Bank (ECB), have taken measures to insert liquidity into their economies and keep a credit readily available, which therefore lowers the costs of borrowing and eats into the returns of lenders. Since February 2016 $9 trillion worth of either sovereign bonds or government debt, offered a yield between 0 and 1% and had offered a negative yield of $7 trillion after accounting for expected inflation. This tends to lead investors to look toward other markets for higher rates of returns, as high yield markets have been very unpredictable. Even though the value increased for high yield bonds $100 billion to $400 billion in the space of five years, the total value of the high yield bond market fell by $0.18 trillion from April 2015 to December 2015. This change is mostly due to the result of falling commodity prices, especially oil that has been detrimental to the energy sector. There are many advantages to high yield bonds such as, the fact that they offer a higher payout compared to traditional investment grade bonds. This is due to the companies who are issuing these bonds not having an investment-grade rating hence they must offer a higher ROI. This therefore means that if a junk bond pays out, it will almost always pay out more than a similar sized investment-grade bond. Another benefit is that if the company who issues the bond improves their credit standing, the bond may appreciate it as well. When it is clear that a company is doing the right things to improve their credit standing, by investing in high yield bonds before they reach investment-grade can be a great way to increase the return whilst still enjoying the safety of an investment grade bond.